Air Conditioner has become a basic household commodity without which no one can sustain the scorching summer heat. Hence, the comfort of air conditioners is undeniable. But sometimes it may happen that the otherwise perfectly cooling machine shows symptoms of inefficiency. In such a case, you really want to know if your air conditioners need a repair or not. Following are some things to keep an eye out for. If you notice any of them, this probably means it is time to call a professional and have it looked at. The basic job of air-conditioners is obviously to give whiffs off of the cool air. 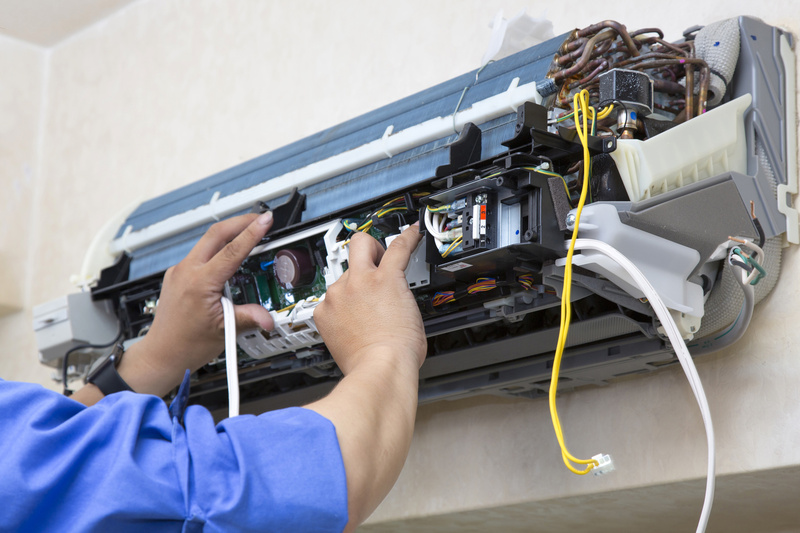 But if you feel that your air conditioner is not giving as much coolness as it should or as it used to then it is time to get it seriously repaired. No sign of cooling could mean that either your compressor is not properly working or there is some trouble in your system’s Freon level. If your air conditioner has breaks and holes in it then it can cause water leakage around. It is also the time when you seriously need your air conditioner to get it checked by an air conditioning repair expert. Water leakage can take place because of two reasons. The leak could be because of refrigerants and refrigerant leaks are injurious to health. Another reason for water leakage could be that the system’s drain tube is blocked. If it is not immediately taken care of then it can result in the growth of fungus which can cause greater problems. Your air conditioner can make strange screeching and squawking sounds. If it does so, then don’t think twice to get it repaired. There could be a number of reasons for happening so. Either your system needs more lubrication or your motor’s bearing has torn. Such a case shows that there is some troubleshooting in your system. A strong pervasive smell can imply two things. Firstly it could mean that your unit has grown fungus normally mold which is why you can smell foul around. Secondly, it could mean that the insulation wire of your air conditioner has been damaged because of heat or fire. Sometimes all you need to repair is the thermostat of your air conditioner. There are two kinds of thermostats. The first kind is the dial type thermostat. If the issue is occurring in this type of thermostat then there may be a possibility that it is not being operated properly by the control unit. If you have the second type of thermostat that is programmable thermostat then the issue could be that they might be adjusted wrong. In any case, seek help from the expertise immediately. All the moisture of your system has to drain out from its drainage system, but if the line gets blocked then the water can stay there to the point that it can damage your air conditioner. In such a scenario, do get your blockage system repaired. Hope these simple signs will guide you when to get your air conditioners repaired. It is always a better idea to get them repaired from a professional. Climate Control is your one-stop place for all your HVAC needs.